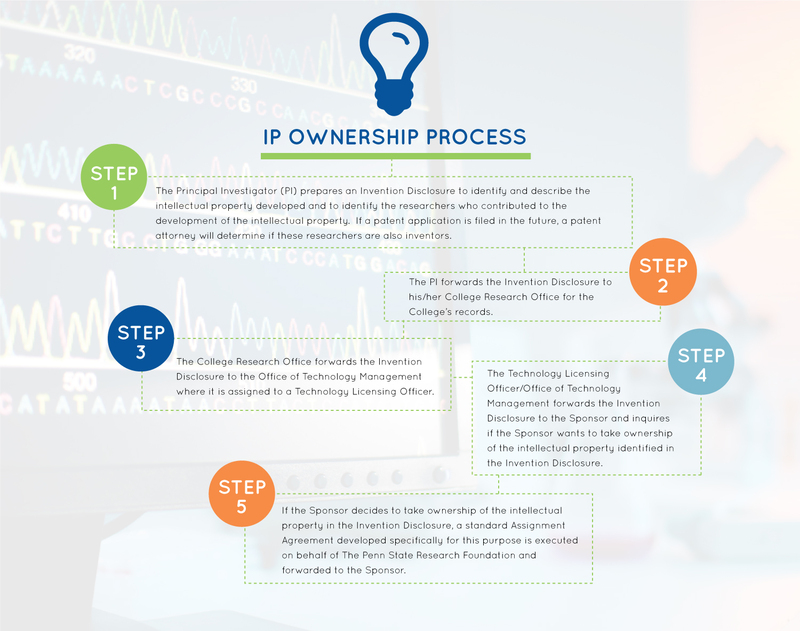 The intellectual property (IP) policy that underpins research performed by companies in Knowledge Park in partnership with Penn State is groundbreaking. It eliminates a key barrier to research engagement by allowing companies to own the IP from any research undertaken under their sponsorship. Penn State has a simple process for assigning the ownership of intellectual property to a Sponsor. A critical part of the process is the clear and early identification and documentation of the intellectual property being assigned. Each of the following steps can be performed electronically, allowing the entire process to be completed quickly.